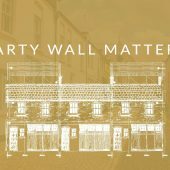 This post deals with typical Party Wall works relating to the case studies introduced in earlier posts. The last posts concern other possible issues for Building Owners and their neighbours. 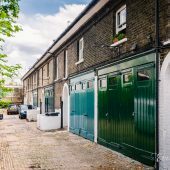 An original Mews (Phase 1) when viewed against an altered Mews (Phase 2 or 3) can seem slightly small and to some eyes it will look shrunken. This is a matter of scale; where the original property was conceived and built to equine proportions, the altered property was built with humans in mind. Hence through development the internal layouts change as do the floor to ceiling heights – see Fig 51B/2 below. As with the other case studies the developers will need party wall agreements to be in place before the notifiable works start on site. 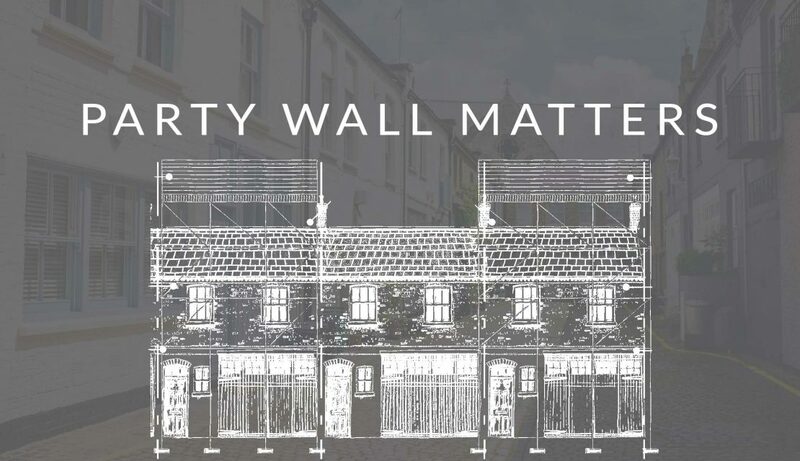 Awards will be needed with the neighbours on either side to cover the following works: repairing the party walls as necessary, making connections to the party walls both temporary and permanent, exposing the party wall and providing temporary weathering, making new connections to the party wall. It may also be necessary to underpin the party walls either due to the loadings increasing (more floors and walls) or to upgrade the insulation to the ground floor and possibly to introduce underfloor heating (greater depth or excavation could result in this going below the perimeter foundations). The introduction of steel frames (colloquially known as goal posts) may also need a foundation/ground beam dug which again could result in it going below the depth of the perimeter foundations. Works of this type and description can vary in length from a few weeks to approx. 6 months. They may need a protective hoarding or other protection externally to avoid the spread of dirt and dust, but are unlikely to need scaffolding. The neighbours will doubtless want some restriction on noisy and dusty works to provide them with some respite through the development process (this is most often needed at the commencement of activities when the demolition, breaking out and stripping works are done). 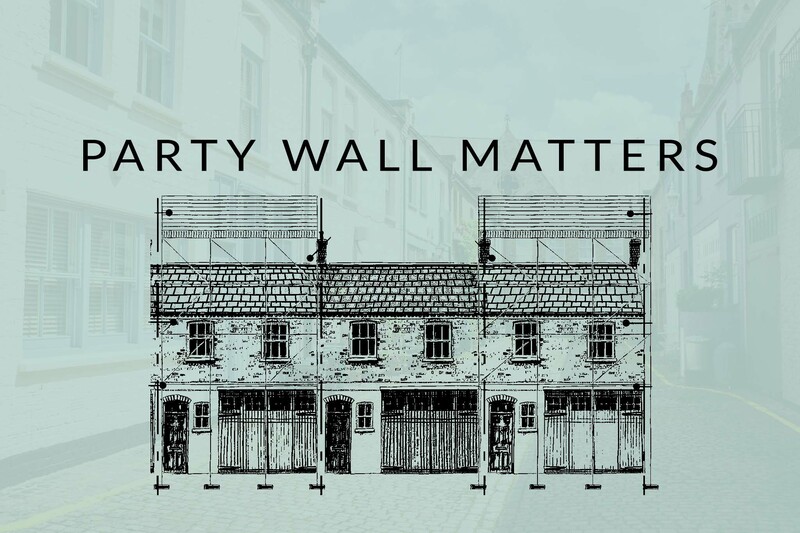 Party wall awards are restricted to the notifiable works so any time or noise restriction is specific to these works and not general to all that occurs on site. Other courtesies to be observed will include packing chimneys internally to avoid dust and debris falling down them; protecting air-conditioning units and having additional filter changes. Specialist buildings insurance is not called for as ordinary buildings insurance should suffice. And unless the works are of high risk (or the developer has a poor track record and/or is based off shore) a request for security monies is generally not considered to be reasonable. If no scaffold is needed then there are no oversail issues to consider. 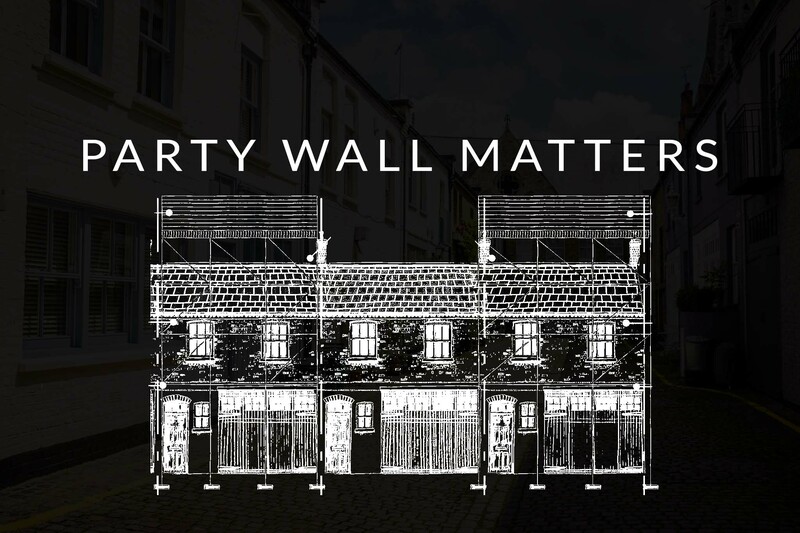 The Party Wall agreements are needed with both neighbours on either side for all the works referred to in PHASE 1 – CASE STUDY plus raising the party walls at roof level and cutting into the party wall to fix a flashing or other weathering to the neighbours building. Negligent and possibly non-negligent Insurance will be required. Noisy and dusty works could likely to take approximately 3 months so again the neighbours will want some restriction on this. The other courtesies such as putting insulation up chimneys as referred to above will also be needed. Scaffolding will be needed for the roof works so this will need proper consideration to avoid them impinging unnecessarily outside the developers airspace or being present longer than needed. The type of insurance will need to be reviewed and security monies considered if there is a high risk of failure or damage arising from the works or due to those undertaking them being default. Enclosure costs may arise and will need to be considered and fully costed if the neighbour has previously carried out similar work see post 51D. The award should also deal with more minor damage such as the need for the removal of dirt and dust arise for which regular cleaning to be agreed. 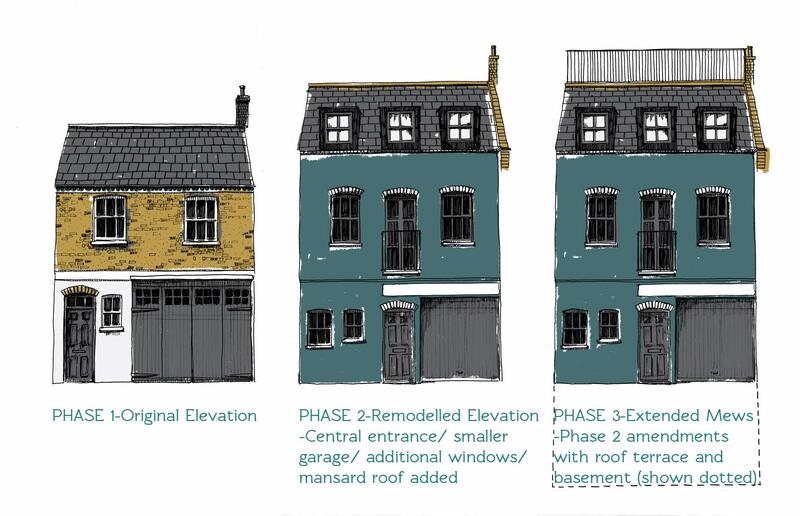 The Party Wall agreements are needed with both neighbours on all sides for all the works referred to in PHASES 1 & 2 – CASE STUDIES and where those within 3m/6m (see diagrams in post 2) who have not already extended downwards themselves and are therefore shallower then the excavation work intended. 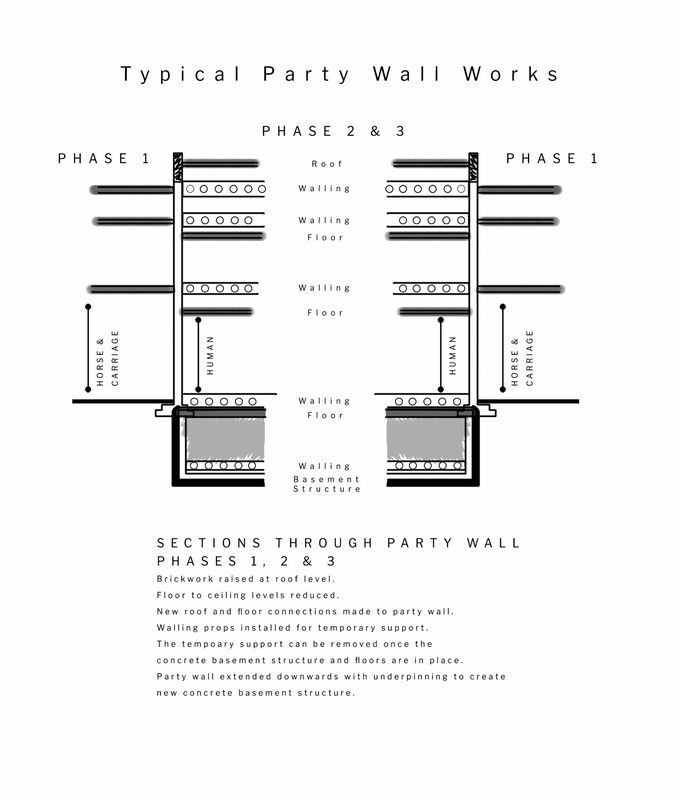 The notices must detail the underpinning (explaining if it is mass concrete or reinforced concrete) raising of the party wall, making connections to the party walls both temporary and permanent, exposing the party wall and providing temporary weathering, making new connections to the party wall and cutting in to fix a flashing or other weathering to the neighbours building. Works of this type and description can vary in length from 12 – 24 months. They can be carried out in any number of ways but as they are in a Mews they will need to be contained and will probably make use of a protective hoarding to reduce the spread of dirt and dust. A basement in isolation will not require a scaffold. Deep excavations beneath an existing building are high risk and so comprehensive insurances are needed both for the site and the in respect of non-negligent liabilities towards the neighbours’ properties (non-negligent insurance is a policy extension that covers the neighbours property whereas a negligent policy will not). Given the risk security monies will also be needed and for a medium sized basement could amount to £100K plus see post 51D. It is likely that reinforced concrete is used in which event consent will be needed from the neighbours for its use. Noisy and dusty works are likely to take up the first half of the project when it is being stripped out, broken up, excavated and carted away. The conveyor belt alone can be a whirring distraction for 12 months, and skip removals, lorry movements etc. only add to the aggravation. The other courtesies such as putting insulation up chimneys as referred to above will also be needed. Scaffolding will only be needed if there are roofing works carried out at the same time. The type of insurance will need to be reviewed and security monies considered if there is a high risk of failure or damage arising from the works or due to those undertaking them being in default. The award should also deal with more minor damage such as the need for the removal of dirt and dust arising for which regular cleaning needs to be agreed. A responsible developer will propose an escrow account be set up for the security monies but in any event a formal request for security monies should be made to satisfy the requirements of the Act. The sum can then be agreed by the surveyors. This post and the others in this series in no way attempt to provide specific advice on specific party walls issues relating to any particular mews property. It is general in nature and no substitute for any professional advice you will need with your own Mews property.